When a new speaker joins the China Speakers Bureau, we often indulge ourselves in cliches about ‘leading voices’ on a crucial subject concerning China. In the case of Sara Hsu, the qualification ‘leading’ does not apply. While shadow banking has become a hot subject, especially now the central authorities have ordered banks to be restrictive in lending, very few academics have a track record on tracing that feature. 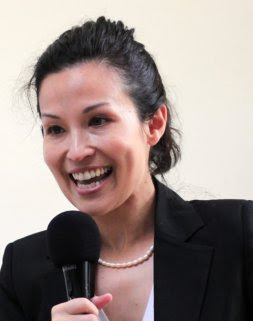 The China Speakers Bureau is happy to include Sara Hsu, offering our financial clients a unique insight in this unique feature. She will soon participate in one of our China Weekly Hangouts to discuss shadow banking in China.